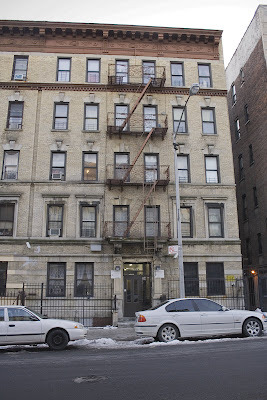 Here it is: 568 W. 173rd Street. Mission accomplished. I was tempted to turn around and go back (because it was cold and there was no hot coffee to be had on 173rd Street), but there was only one more block to walk to the end of the street, so I trudged on. The worst is leaving one little block undone way out at the edges.